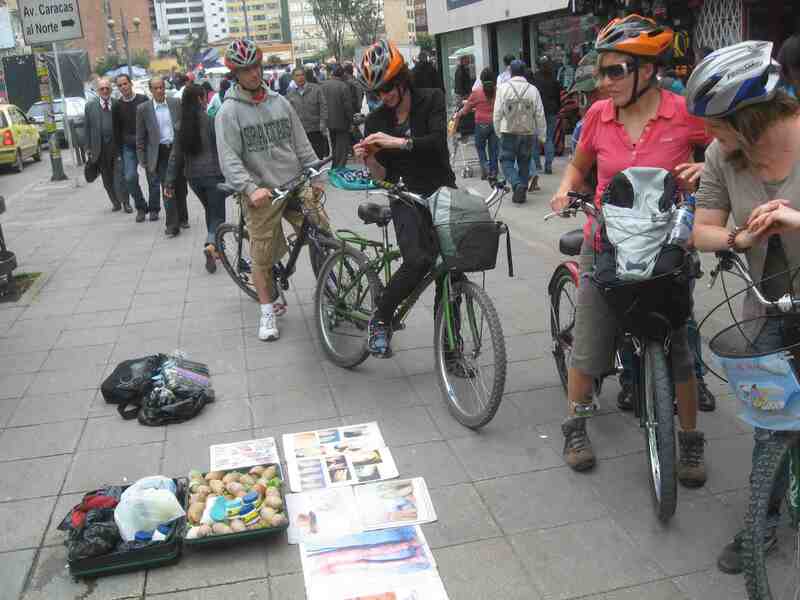 Many visitors to Bogotá remark on the wild variety of things being hawked on the city’s sidewalks – clothing, cell phones, toys, fruit, sexual aids, and in this case even snails. Or, snail slime, to be exact. Buy your slime by the snail or the jar. We encountered this guy during a bike tour. 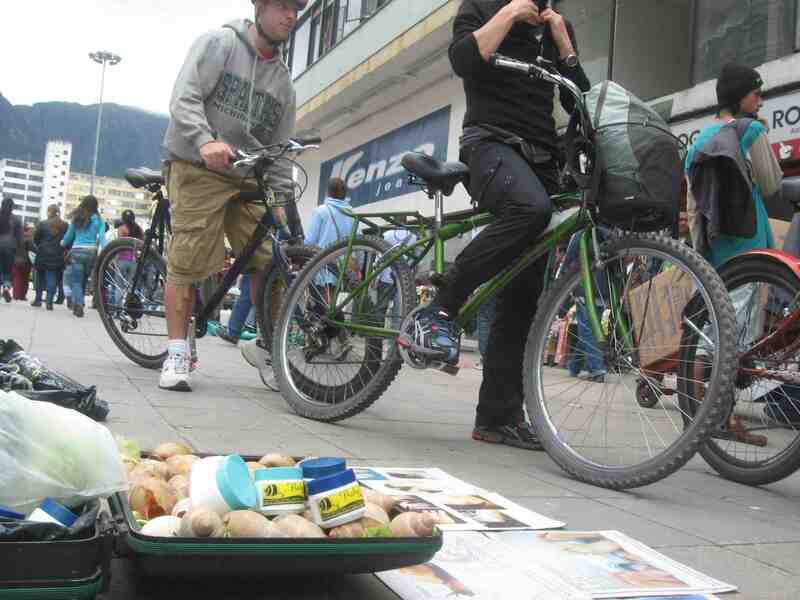 The vendor claims that snail slime cures all sorts of skin diseases. And he’s got the pictorial evidence to prove it! 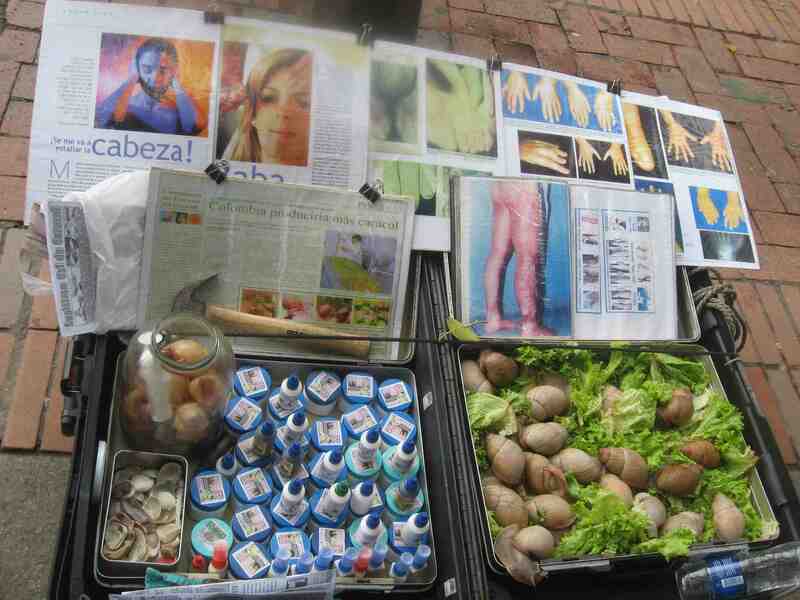 Vendors claim that the snails' slime can cure all these skin conditions.